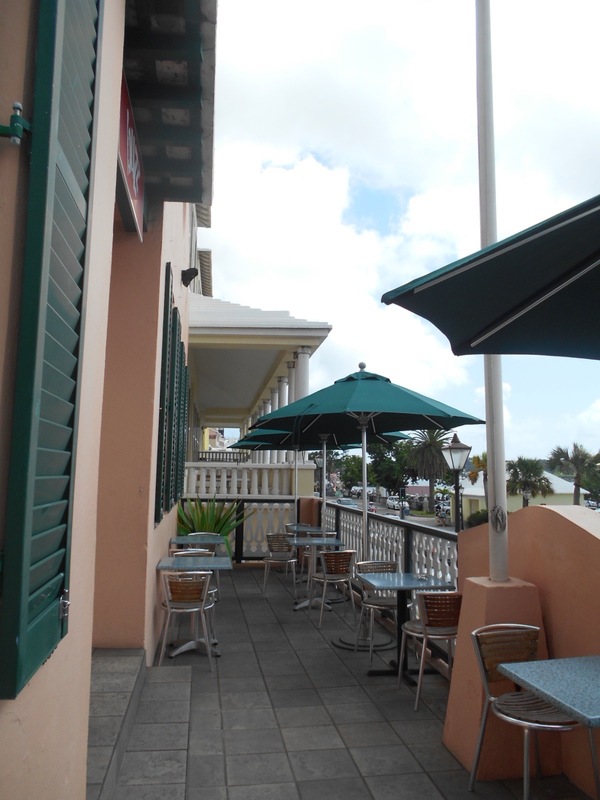 An empty restaurant in Hamilton, Bermuda. A park without people in Hamilton. Words probably can’t adequately express just how much love I have for the island of Bermuda. I’ve been going there since I was sixteen years old. I first laid eyes on that incredible little country in the midst of the Sargasso Sea in August of 1977. I was in the most pleasant state of shock imaginable as our Holland America Lines ship, The Statendam, docked on Front Street in the capital city of Hamilton. Pastel-colored houses with limestone white roofs lined the streets and dotted the gentle hills; palm trees swayed in the humid breeze; British department stores could be found a few steps away from the dock. So could souvenir shops, including a few tucked away in what looked like an old pirate’s lane. Tea sets vied with Bermuda hand-blown glass and plastic Santas riding Bermuda scooters in just about all of the stores. All this I loved on first sight that morning, and it was before getting my first taste of what it was like to jump the gentle waves at Elbow Beach that afternoon. So I was very shocked, and saddened, by the conditions I found in Bermuda this past week, when I cruised there on the Norwegian Cruise Line’s megaship, the Norwegian Breakaway. It holds nearly 4,000 passengers. It features five waterslides which struck me as terrifying, a climbing wall, a zip line course, several pools, and outdoor movie theater. It also boasts of “freestyle” cruising, which is different from the old Holland America and Celebrity types of vacation, where you were assigned to a dining room and a dinner seating, eating with the same people every night. All meals, plus your transportation, accommodations, and entertainment used to be included. Pay the one price, and except for liquor or sodas from the bar, you used to have automatic access to everything. On the Norwegian Breakaway, I had a choice of five places where the meals were included and could be had at any time, with no assigned seats, but there were many more restaurants that would have cost extra. There’s a Spiegel Tent with special shows, I think circus acts, but that’s extra. There’s an ice bar, which sounds like great fun, except just getting inside of it is extra, then there’s the cost of the drinks. There’s special cabins in a region of the ship they call “The Haven,” with their own special lounges and pool, but guess what? They’re extra. Most outrageously of all, though, was their Internet/WiFi package: only one option was available where you had absolutely no choice but to either pay $24.95 per day, for all seven days of the cruise, to have access to your own email on your own phone – or you got no WiFi at all. It was “pay for all days or get no days.” Hello? I don’t like shakedowns, and that clearly was one, so I didn’t get their WiFi package. Norwegian Cruise Lines cares to make as much money as possible off their passengers. That much was obvious. It’s the same old story about corporate greed, just on the high seas, this time. 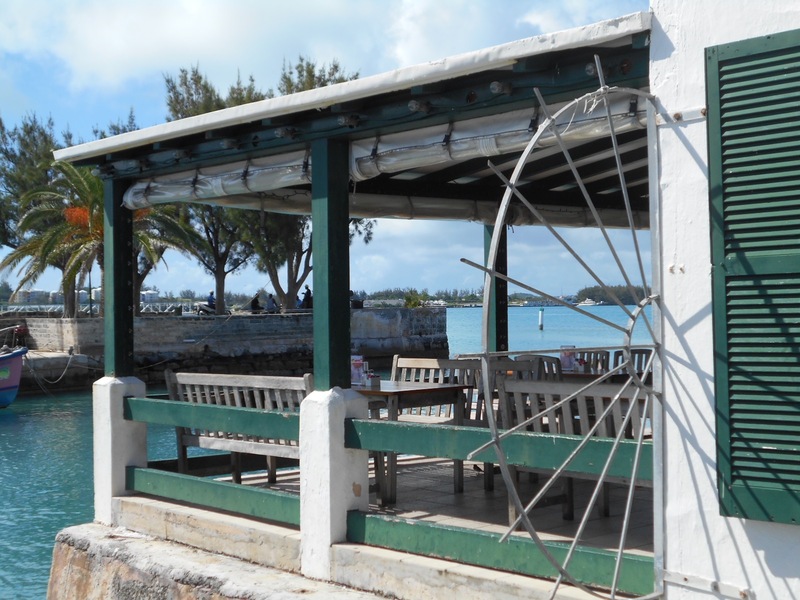 However, it’s what they, and other cruise lines that operate these “mega-ships,” have done to my beautiful Bermuda that really breaks my heart. The towns of Hamilton and St. George were the two cruise ship port towns…but Norwegian’s mega-ships are too big to dock at either one. 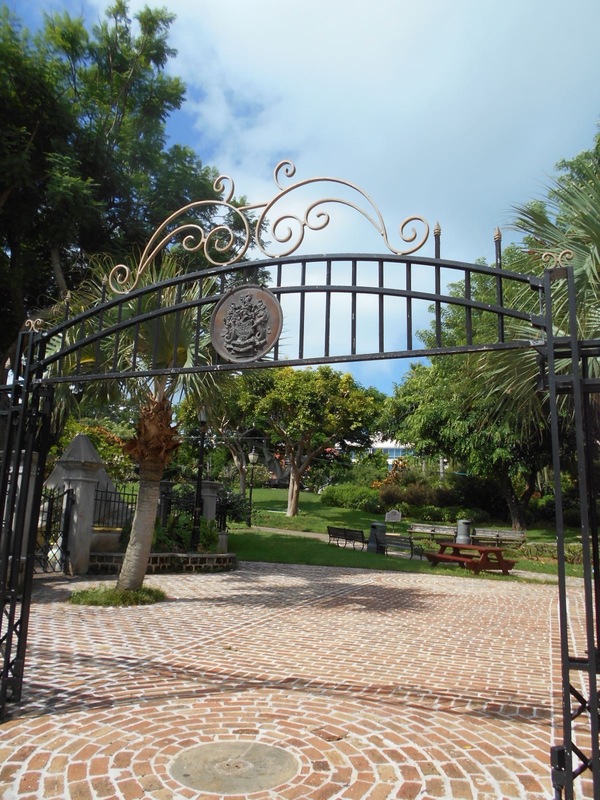 Therefore, they berth at the northern Bermuda locale of the Royal Naval Dockyard, where the 4,000 passengers find themselves in an old for area. 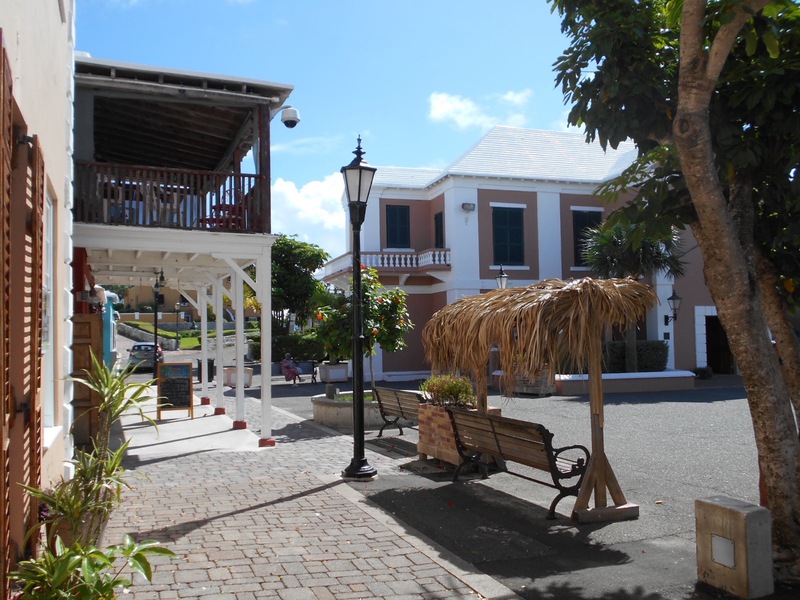 I like the dockyard, which has a mall, many little shops, a museum, a Dolphin Quest attraction, etc…but…the use of this port is all but killing the business in Hamilton and St. George. Nobody comes there – and it’s such a beautiful place. 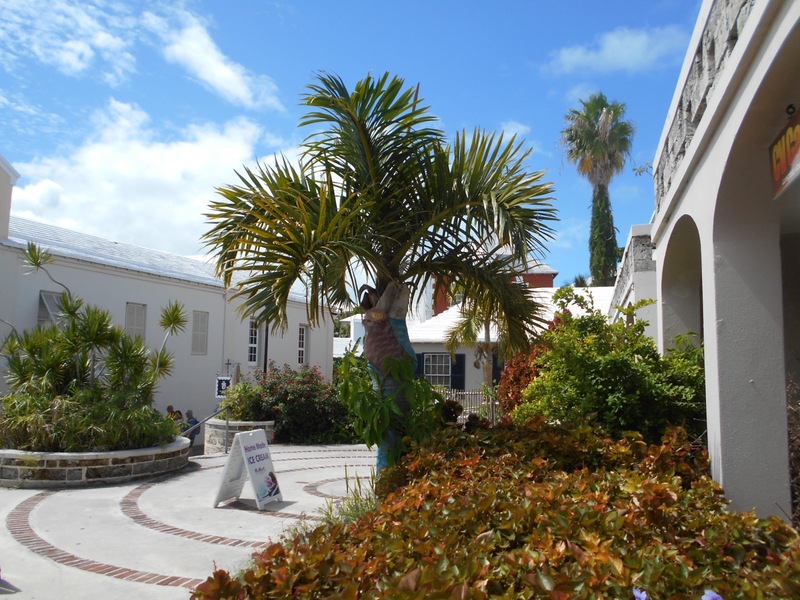 So, cruise ship lines of the world – if you’re reading this – Bermuda has two beautiful port cities, called Hamilton and St. George, and they’re both in need of some cruise ships! Some smaller ships that can dock in either place, not these 16-deck gargantuan ones. There’s got to be some ships out there that would love to visit such a destination. Holland America, Celebrity Lines – come back to our old island paradise! Your passengers will love it, you won’t regret it, and you might save Hamilton and St. George! My favorite St. George restaurant, without customers. Shops awaiting customers, St. George. This was where I was the first shopper of the whole morning. Lovely new benches without butts in the seats, St. George, at the once-bustling Square. Come on, ship lines, go back to St. George and Hamilton, Bermuda! Coldstone Creamery is WONDERFUL for having a Sugar-Free Vanilla flavor among their ice cream choices! I don’t know what most restauranteurs and chains are waiting for. It’s common knowledge that sugar is not only bad for people’s health in general but fatal to diabetics and even a carcinogen…yet just about every single restaurant I walk into doesn’t have one single sugar-fee dessert on their menus! This is a trend I’d love to see reversed. So many people are banned from ordering sugary foods for a whole variety of medical reasons, not to mention the fact that not overloading on the sugar is also basic common sense. Why can’t the restaurants and food chains stop and think about how great it would be for those of us who can’t have sugar – not to mention how great it would be for their profits – if sugar-free dessert options were available to order? I want to give a great big happy and grateful shout-out to three restaurants who already DO offer sugar-free options. 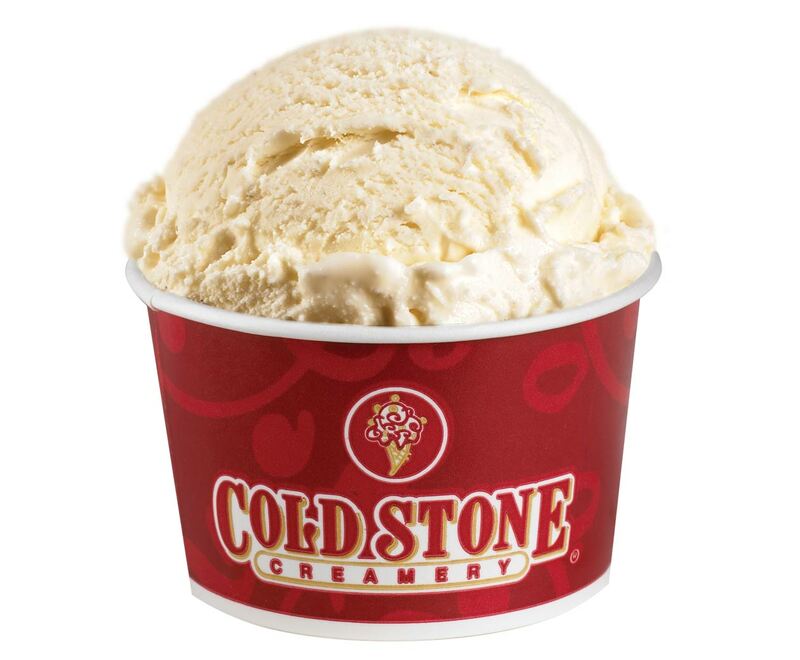 Coldstone Creamery has a Sugar-Free Vanilla ice cream flavor. Bravo! It’s as terrific as any sugar-filled ice cream ever was, too. In New York City, Junior’s in Shubert Alley in Manhattan and Brooklyn, and Viniero’s Pastry Shop on East 11th Street, both offer great sugar-free cheesecake. I’m not sure how many Junior’s there are outside of this area. Viniero’s is, I believe, a one-store operation, though if they were to expand and become a chain, that would be fabulous – they’re awesome! All three venues deserve a lot of praise for having taken those of us who can’t order from the regular dessert menu into consideration and giving us the welcome chance for a treat, too. Celebrity Cruise Lines always had not just one but a whole slew of sugar-free, or no-sugar-added, options available for dessert. It’s one of many reasons why they’ve always been my favorite cruise line. Holland America Lines always had one or two and even made me a sugar-free birthday cake on one memorable family vacation. My hat’s off to them both! I may book passage on one line or the other this year. On the other hand, the rest of the year it would be nice to be able to have a chance to have dessert on terra firma, in addition to having it while sailing the sea. How about the rest of you nice restauranteurs out there? Wouldn’t you love to start a nice movement where you can offer desserts for not just some of the population but all of us? Come on, then – take this to heart and give us a sugar-free break! You don’t have to include sugar to be sweet.